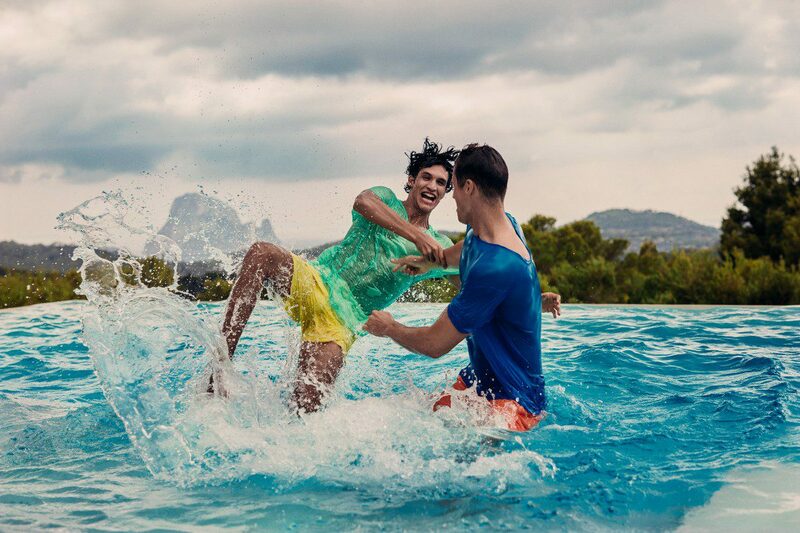 No one does resort wear better than Orlebar Brown. 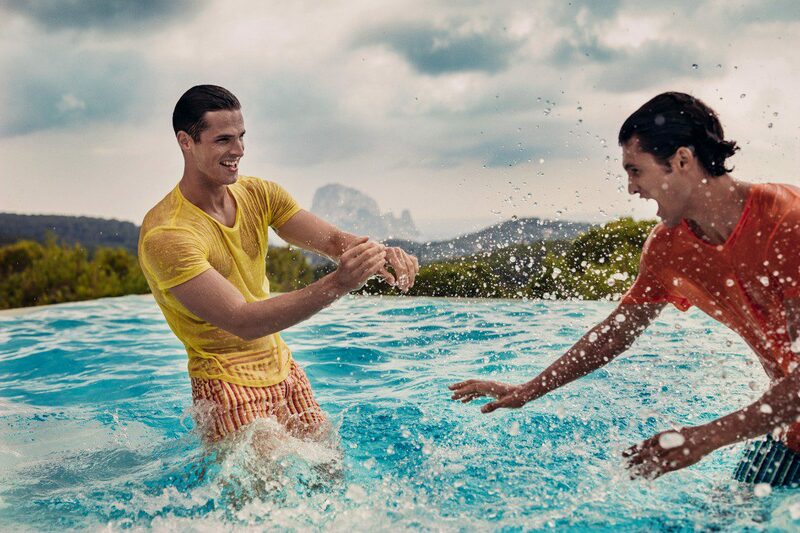 Launched in March 2007 when there was a distinct lack of stylish beach-to-bar swim shorts, the London-based brand almost had a monopoly on proceedings. If you were, or are, a stylish gentleman heading abroad for a well-earned break, then Orlebar Brown was and still is the only sensible choice. Prior, your options were mostly limited to baggy, “surfer dude” board shorts or garish printed designs reserved for jet-set St Tropez types and not the stylish gentleman in the know. We were crying out for a “short you can swim in”: something you can wear on the beach, by the pool and then smart enough to go and have a drink or lunch at your favourite restaurant, bar or beach club. Or course, new brands have emerged in the sector, but none have superseded the original. And while others play catch up, Orlebar Brown stride ahead. 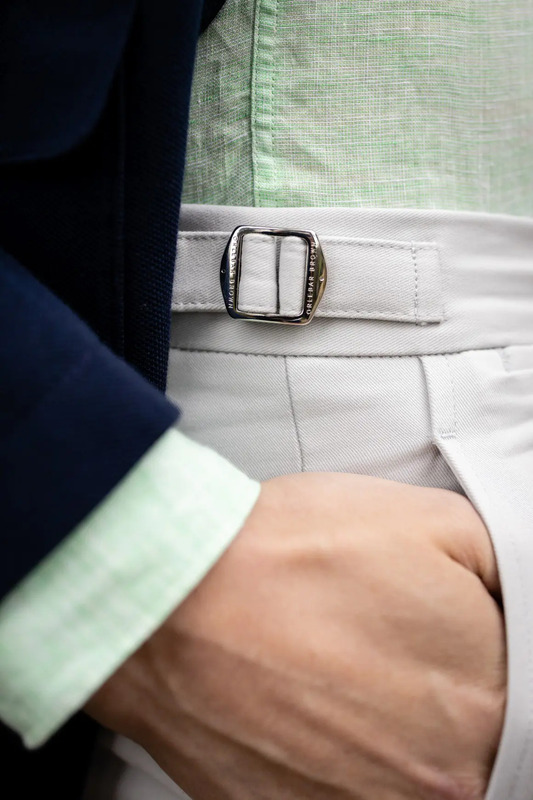 Venturing into new clothing categories but staying true to its premium resort wear ethos. Ape to Gentleman have sung the brand’s praises since our inception – just one year after Orlebar Brown was born – so being asked to style its new spring/summer 2019 collection was an honour we couldn’t refuse. Following last year’s CR18 maritime theme, Orlebar Brown’s latest collection continues the narrative by venturing into the depths of the sea. Exploring life beneath the surface, they’ve taken inspiration from the vibrant colours found in tropical fish and coral to create a bright, summer-ready palette and distorted geometric prints that resemble reflections on rippled water. 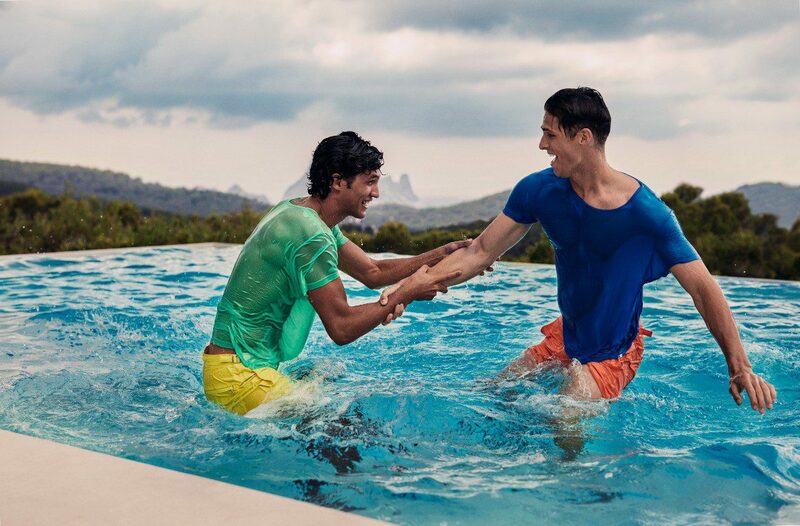 Turning up the saturation with shades of hot coral, blazing yellow, spring green and bahama blue, set against timeless base neutrals of navy, white and pewter, SS19’s offering exudes their “Feel Summer” mantra through feel-good hues but with a nod to classic style for balance. Their signature eye-catching prints include a collaboration with London-based studio Good Wives & Warriors, comprised of illustrators Becky Bolton and Louise Chappell, who have created two intricate underwater scenes rife with coral and sea life. Reiterating the focus on nature, geometric motifs include a collaged tricolour floral while photographics focus on palm trees with a new Slim Aarons exclusive and an infrared Hawaiian beach scene. 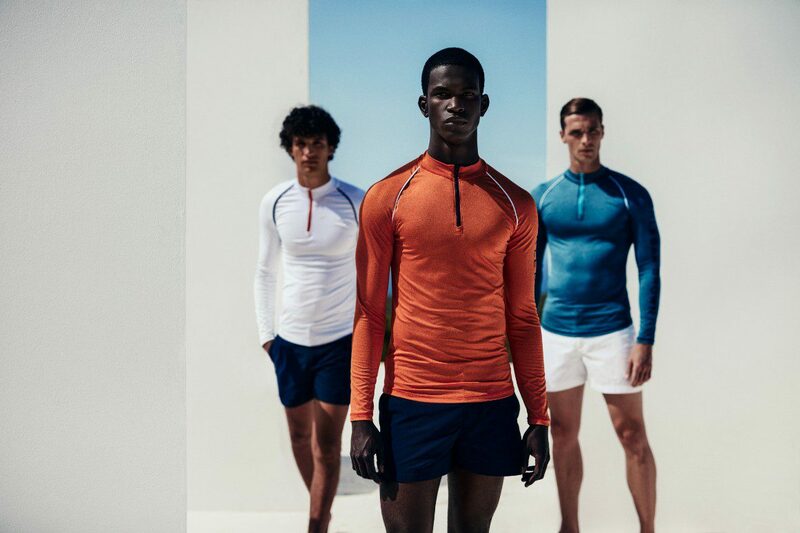 The Summer Sport collection, meanwhile, expands with the addition of Coolmax® All Season technology in editions of their bestselling OB-T and Sebastian polo styles. 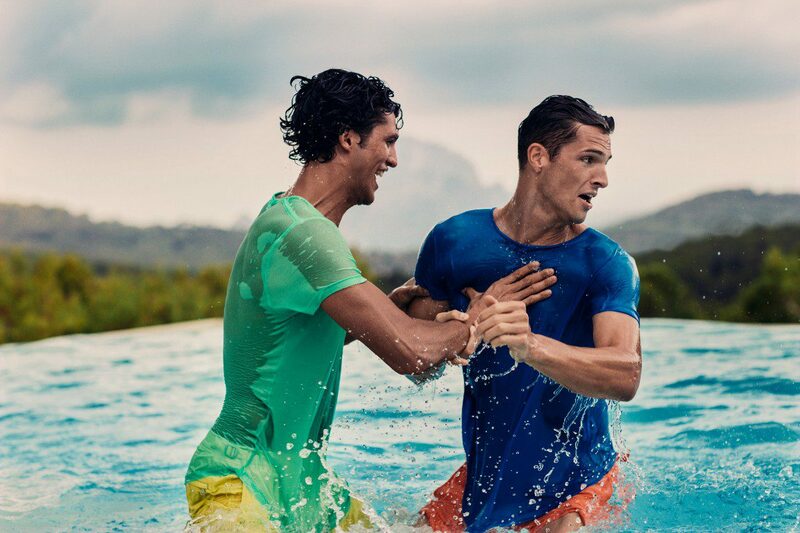 The fabric carries moisture away from the body to keep the wearer cool and dry on hot days while the fibre structures provide warmth on cooler days, helping to optimise performance during both indoor and outdoor sports, ideal for wearing in the hotel gym or to the beach for volleyball. 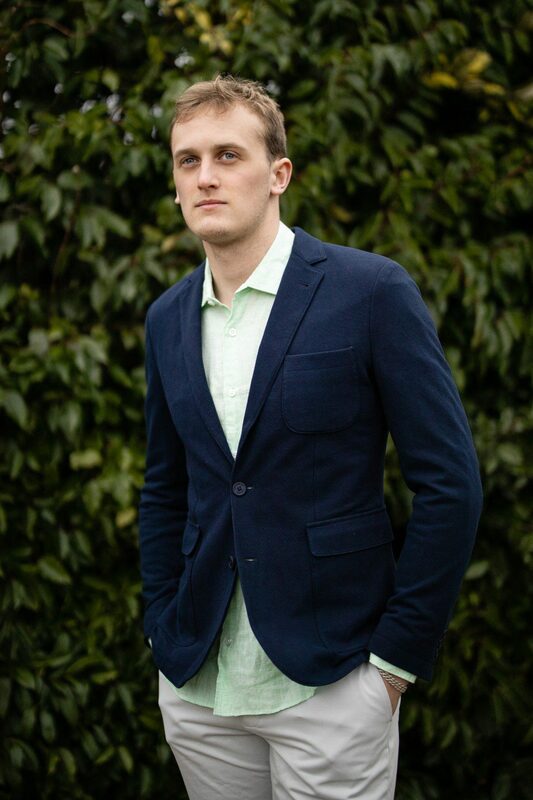 Button-through shirts have been simplified to two fits: the relaxed-cut linen Ridley for a truly off-duty approach; and their signature tailored Giles, which is available in cotton, linen, seersucker and denim to cater for all occasions – think smart summer wedding in the Greek islands. There’s a raft of new styles too, which predominantly focus on sweats, but it’s the Merino wool Horton buttonless polo (£195) that is set to be this season’s hero piece. Available in two colourways, the addition of intarsia stripes and a contrast panel give it a modern-meets-vintage feel that is true to Orlebar Brown’s timeless aesthetic. 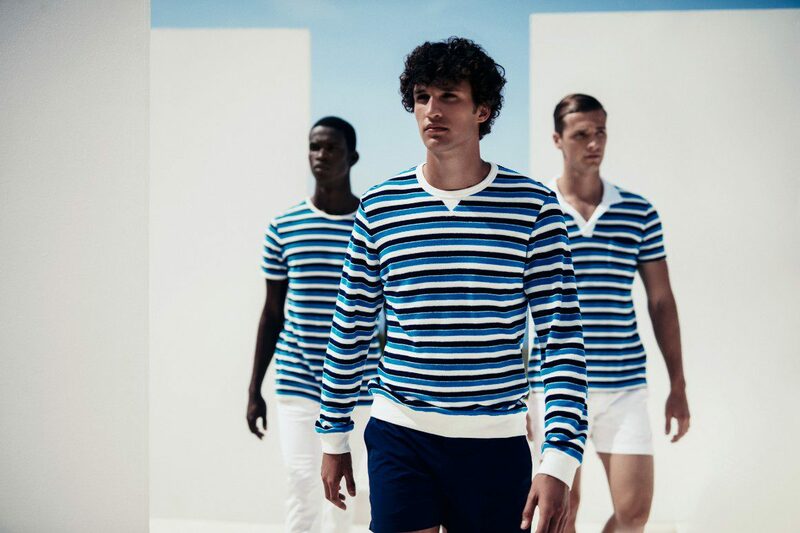 All pieces are available now at orlebarbrown.com, in-store and at selected stockists worldwide. For Ape’s interpretation of the spring/summer 2019 collection we asked George to sport the following clothing. We placed him in a casual environment – a balmy spring evening, walking through attractively manicured gardens before an evening with friends at his restaurant-bar of choice in the city. The beauty of the Orlebar Brown brand lies in its practicality. 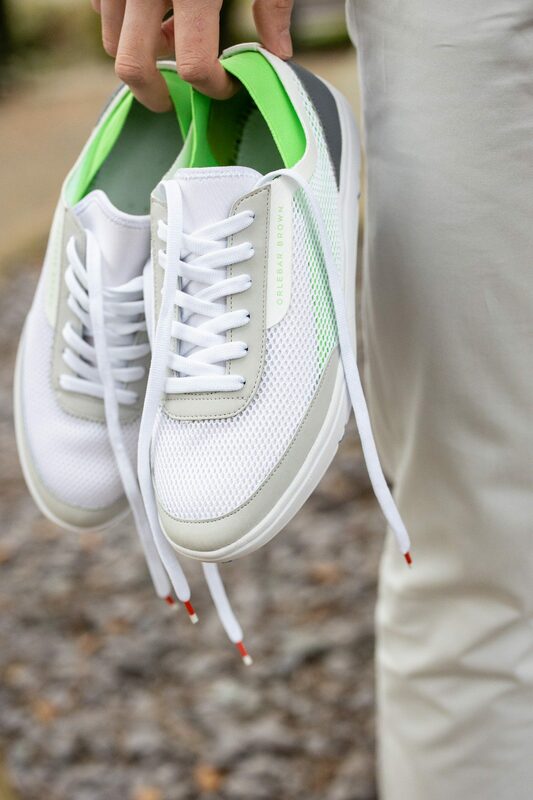 Yes it’s stylish, incredibly so in truth, but it’s also relaxed, comfortable and easy to wear. It might be spring now but think forward to summer, both here in the UK or abroad, when you’re dealing with 25+°C temperatures. 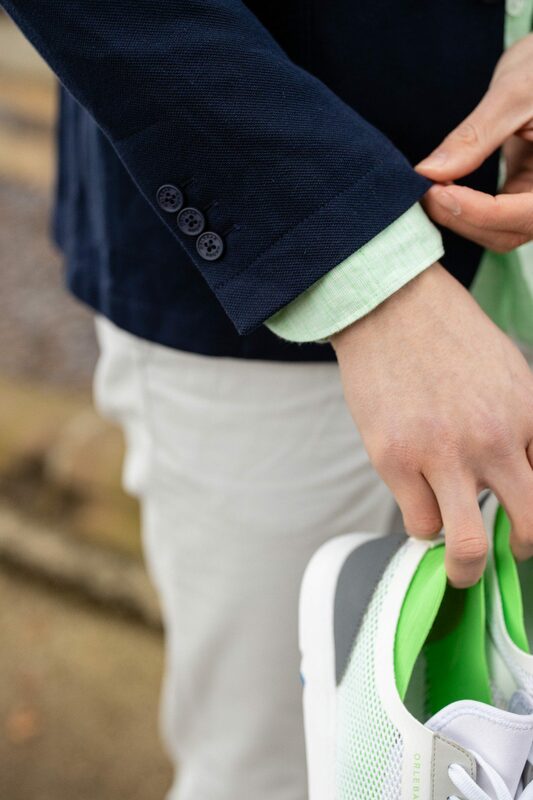 How do you stay cool while maintaining your sartorial standards? Orlebar Brown has the answer. 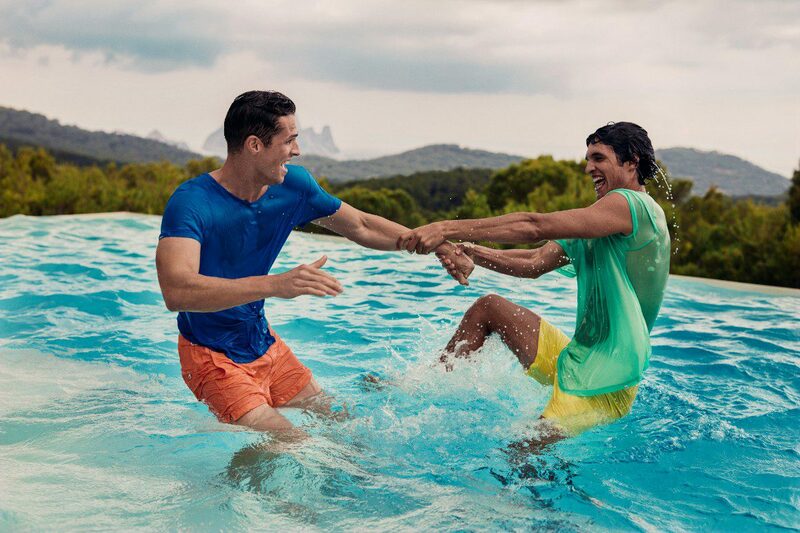 To further enhance our dive into Orlebar Brown, the brand have kindly offered one lucky Ape ready the chance to win a £250 voucher to spend at orlebarbrown.com – just let us know where your dream holiday is and with whom in the comment box above.